At Sunrise Moving & Storage, your local Atlanta movers, we know a successful local move requires proper planning and preparation. Georgia moving companies are required to charge two hours of labor during the week and three hours on weekends and holidays. The billable rate will begin when your move crew arrives at your origin location and covers the total time of the move; the loading, driving to the new location, and the unloading. All large furniture items in your home will be disassembled as needed and pad wrapped at no additional charge. Upon arrival at your destination address, our local Atlanta movers will then carefully unload your shipment and begin to place and set up your furniture in their respective rooms. In addition, there is a flat one hour travel time fee added to each move. The time that it takes to get from your origin address to your destination address is considered “move time.” Travel time is a flat fee to cover our expenses for getting the truck, equipment and men to your location in Atlanta traffic and recouping fuel costs. At Sunrise Moving and Storage, we know that a successful local move requires proper planning and preparation. Starting from the first call, our representatives take the time to accurately assess all of your moving needs and requirements. They will then recommend all service strategies and alternatives that are available to you. Our local Atlanta movers have experienced moving all sizes of homes, apartments, condominiums, town homes, public storage units, and businesses. When you move over fifty miles, your rates will be determined by the weight of the truck with your items on it and the distance from your origin address to your destination address. Our professional crews follow the same moving process as noted above in the local moving section. For moves over 50 miles that cross state lines visit our long distance moving page. One of the most critical parts of moving is ensuring that your goods are packed properly. Packing can be the most tedious and time consuming part of moving. 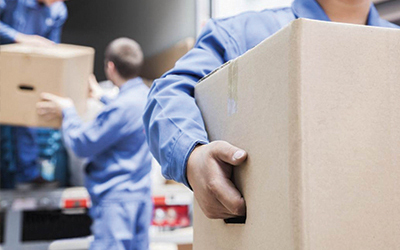 On average, it typically takes most pack-by-owner (PBO) customers a few weeks to get everything wrapped and boxed in preparation for moving day. Don’t get overwhelmed with your move. Let our professional packers pack your household belongings for you. 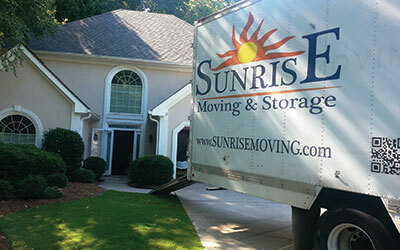 Call Sunrise, the affordable local Atlanta movers, at (770) 381-6191 to further discuss your options. We look forward to speaking with you!